Location spotlight — Why film in Tokyo? Tokyo has a lot to offer when it comes to filming and film production. In fact, many filmmakers can’t recommend Tokyo enough. Despite a few challenges, such as the language barrier and a long flight time from the UK, the Electric City is an awesome place to shoot. 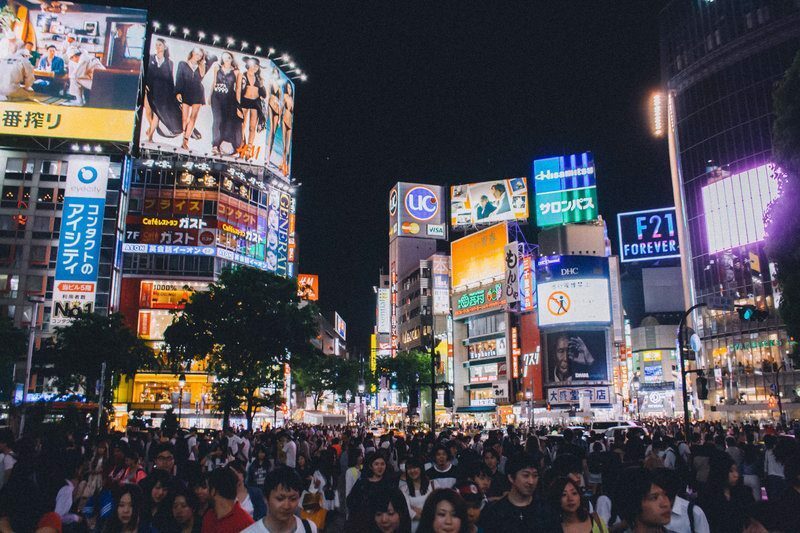 If you’re looking to create a colourful production with busy roads and large neon signs, Shinjuku is the ideal destination. You may recognise the location from Kill Bill: Vol.1 (2003), The Fast and the Furious: Tokyo Drift (2006) and Godzilla Resurgence (2016). Home to one of the busiest railway stations in the world, the city is hugely populated and houses the government building of Tokyo. Nishi-Shinjuku is the more traditional side of Shinjuku. It’s a great place to shoot out-school Japanese culture and insert the true side of Tokyo into your movie. Favoured for its eye-catching architecture, Chuo Street in Ginza is an ideal location to capture stylish Japanese residents and a high-end shopping area. Yanesen refers to three areas: Yanaka, Nezu and Sandagi. All three areas are fantastic locations to capture Japanese history, and you can shoot temples and shrines that add a cultural aesthetic to your film scenes. You can also film the mud-wall of the Kannon Ji-Temple and the Nezu shrine, which is often decorated with beautiful flowers. The Shibuya Crossing is one of the world’s busiest pedestrian crossings. It’s characterised by neon lights that cannot be mirrored elsewhere, especially when filming at night. Popular with film crews for its lively ambience, the Shibuya Crossing welcomes approximately one million people who cross the street each day. No matter the time, you’ll find Tokyo’s hustle and bustle at the Shibuya Crossing. Located between Shinjuku and Shibuya, Yoyogi Park is a free-spirited, spacious and inspiring space where locals practice their talents. You’ll see musicians, partiers and other fun-loving locals chilling out in Yoyogi Park. After all, you may need to film in peace, away from the fast pace of Shinjuku and Shibuya. The Tsukiji Fish Market is an absolutely fascinating place to film. As the biggest wholesale fish and seafood market in the world, it offers the chance to capture the colours, patterns and smells of Japan on camera. However, it’s important to bear in mind that this is a working location; the market stall holders don’t always have the time for camera-happy visitors and filmmakers. The Meiji Shrine is Tokyo’s largest venue for festivals, functions, weddings, rituals and other exciting events. If you can get permission to film here, then you’ll be sure to create eye-catching moments; however, even a leisure visit can inspire filmmakers. Kill Bill: Volume 1 is a legendary Quentin Tarantino martial arts film and one of the biggest hits filmed in Tokyo. The film features Uma Thurman as the Bride, who seeks revenge on an elite team of assassins, led by her former lover, Bill. The film ends up in Tokyo, where the Bride battles the Yakuza. Another 2003 hit, Lost in Translation has a completely different vibe to Kill Bill, despite both being filmed in Tokyo. Arriving in Tokyo to film an advert for whisky, Bob Harris (played by Bill Murray) is a mature American movie star in a mid-life crisis and a troubled marriage. Staying in a Tokyo hotel, he meets Charlotte, a young college graduate who is married to a celebrity photographer. The pair spends time together in the hotel, forming a strong friendship before going their separate ways. Loosely based on Steven Gould’s 1992 science-fiction novel, Jumper, the 2008 movie follows the globe-trotting adventures of a man who can teleport anywhere—that is until he finds himself involved in an ancient war threatening the survival of his kind. The movie was filmed in 20 different cities in 14 different countries. One of these cities, of course, was Tokyo. This action-packed American film follows the journey of car enthusiast Sean Boswell, played by Lucas Black, who is sent to live with his father in Tokyo. There, Sean starts to participate in drift racing, despite being banned from driving at all. With so much adrenaline and (illegal) racing, you won’t get a faster or more furious movie than this! At NEEDaFIXER, we help filmmakers shoot scenes in locations across the globe, including Japan. We can help with travel, staff, tax incentives, equipment insurance and more. In fact, we can organise your production from start to finish. To keep you on-track and in the best position to create a hit movie, contact our expert film fixers or read about our film production services.